The shape of bacteria does not influence how well they can move -- this is the surprising finding of new research which could have major implications for the future of the scientific and medical industries. Published in Nature's new Ecology & Evolution journal, the results refute long-held theories that there should be a strong link between the evolution of shape in bacteria and their ability to move. Setting them apart from larger living organisms such as fish, seals and whales -- for which shape is very important to their ability to swim efficiently -- this new discovery highlights the unusual nature of the environment in which bacteria live. The extensive study was conducted by Dr Fouad El Baidouri and Professor Stuart Humphries from the School of Life Sciences at the University of Lincoln, UK, together with Dr Chris Venditti from the University of Reading and was funded by a Leverhulme Trust Research Leadership Award. The team drew together information on 325 different species of Firmicutes bacteria to help address a gap in global scientific knowledge about how the shape of single-cell organisms like bacteria affects their mobility, lifestyle and pathogenicity (ability to cause disease). Professor Humphries explained: "Many evolutionary biologists have asked why animals are shaped the way they are, but until now the scientific community has relied on mathematical models to predict the relationship between shape and movement in bacteria. We expected swimming bacteria to be rod-shaped in order to reduce their energy costs, but experimental tests are rare and, surprisingly, analyses of this relationship in an evolutionary context are lacking entirely. 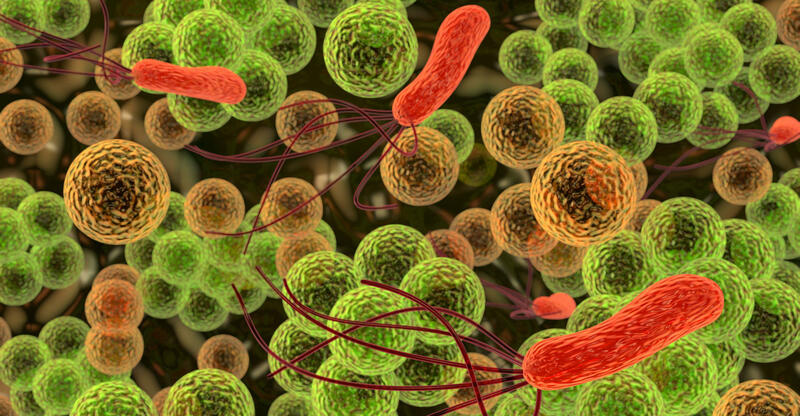 "Our research has produced evidence that these theoretical predictions don't match reality, at least in this group of bacteria, and it therefore makes a major contribution to our understanding of the evolution of bacteria." The researchers employed new ways of exploring the evolution of bacteria to more accurately assess the form and function of the cells. Dr El Baidouri said: "The main focus of our research is to understand why bacteria come in so many different forms, but in order to understand this we needed to find out which bacteria have which shape. With no datasets available, we saw a clear need to collect morphological and ecological data on bacteria -- a task which took several months, and is still ongoing. "We fully expected to confirm a widely-held belief, backed by strong theoretical predictions, that rod-shaped cells would move more effectively than coccoid (spherical) cells, and that shape and motility had co-evolved. We used a number of approaches to confirm our findings, and to our great surprise we didn't find any association between the two traits." Contrary to recent evidence, the study also found that neither the ability to cause disease nor the lifestyle of these bacteria (whether it is free-living or host-associated) are affected by shape. These results suggest that, for this group of bacteria at least, they have an even greater evolutionary flexibility than previously thought.